We still miss our South End house, its giant yard, and the 10 minute walk to Vien Dong (see the lunch section below!). Sometimes we Tacoma people tend to think of South Tacoma the way Seattle people think of Tacoma in general. As in, South Tacoma is to North Tacoma what Tacoma is to Seattle, if you want to get SAT style about it. As we know, Seattle’s been wrong about us a time or two (they’re catching on). Anyway, here we are, living in Tacoma and perhaps accidentally (maybe deliberately) letting a big part of our city go unexplored. I spent the first 4 years of my life in South Tacoma, and recently lived there again for a few years. I like it there. True, many of the grandest homes, most scenic streets, all the beaches, and the most famous parks are on the north side. But you know how we’re always seeing logos and hearing phrases about Tacoma as the “gritty city”? You’ve caught on that Proctor and Stadium aren’t the areas keeping that nickname to Tacoma, right? Let’s say you’ve got a day to spend, or part of a day even. Take that day and explore the south side; we’ll help. 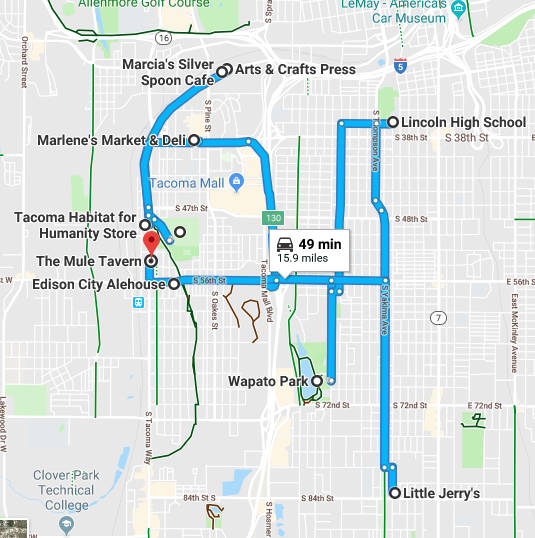 Neighborhood Distinctions: It’s interesting to note that in Tacoma we have the “South End” (east of I-5 and, for the most part, west of Pacific Ave or A St) and “South Tacoma” (roughly east of Orchard St and west of I-5) and today we’re actually blurring the lines to explore both! We’re going to stay south of Hwy 16, east of South Tacoma Way and west of Pacific Avenue. At the end of the post, you’ll find a link to the route we’ve created for you in Google Maps. First things first though. Let’s start the way every day should, with breakfast. 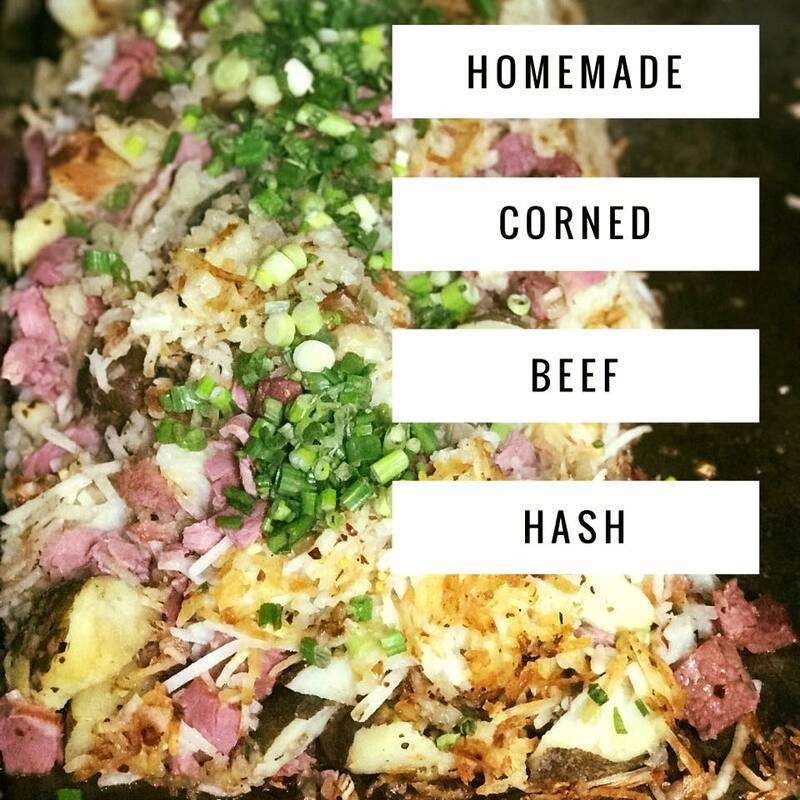 Homey, casual, friendly, open early, peppered with regulars, and serving classic Amercan style breakfast, this spot has been around since 1988. Marcia’s is known for big (you might say giant) breakfast portions. We’re talking super big omelettes. Share your breakfast or you run the risk of foregoing lunch, and that’s too bad because we have a lot of lunch suggestions coming up! Here you’ll find dishes mixing PNW and Southern flavors. Look for items like shrimp and grits, or chicken and waffles. Open since 2015, they’re a welcome addition to the South Tacoma breakfast scene. If you eat breakfast here, just hop on down to South Tacoma Way afterward, as that’s where our route picks up. And don't forget, there are more food stops coming, so eat, but don’t get so ultimately stuffed that the food day is over. This is just a one minute walk down the street from Marcia’s Silver Spoon and very much worth a visit. Look for the red door and inside you’ll find a little shop full of beautifully crafted cards, calendars, and larger prints created in the studio adjacent. I see these cards and prints popping up all over the place in my Washington explorations, in places such as Vashon Island and LaConner. It’s fun to go straight to the source where Yoshito Yamamoto and her staff create these letterpress and block print pieces. Don’t miss this! Side tables, Schwinns, light fixtures - you just never know. If you’ve been here before, you may as well look again since it’s never the same twice. If you like browsing thrift shops or hardware stores, this stop is for you. This second hand store is a great resource for used furniture as well as building/renovation materials. Read all about it in our Second Hand Home blog post, or just go take a look. Keep this place in mind next time you have chairs, light fixtures, appliances, or a sink to donate. Proceeds from your donated items go into building good, affordable housing for families in the community we share (and they're tax deductible, so that's nice too). Habitat also wants you to consider "by donating items, you are providing our community with a source of low-cost goods while also reducing the quantity of material going into landfills." So good! If you’re at the Habitat Store, just look across S Tacoma Way and you’ll see the park. Set aside as a Tacoma Park way back in 1905, this green space features paths, a little spray park, and old trees. I attended my first ballet lessons in the building that’s now the Asia Pacific Cultural Center. As with most parks, the landscape and uses have evolved over the years (read about the park’s history here). Park the car near the Asia Pacific Cultural building and follow a wide paved path beneath tall cedars, firs, and oaks. Take a quiet wander, breathe some fresh air, try to work up your appetite for later. Old fashioned street lights stand beside the path and you’ll notice the Oakwood Hill Cemetery bordering the park. Head south on the paved path until it hits the street and then continue your explorations at the cemetery. If you see this fence on your left, you’re on the right track. At the end of the South Park path turn left at 54th and walk half a block or so east. 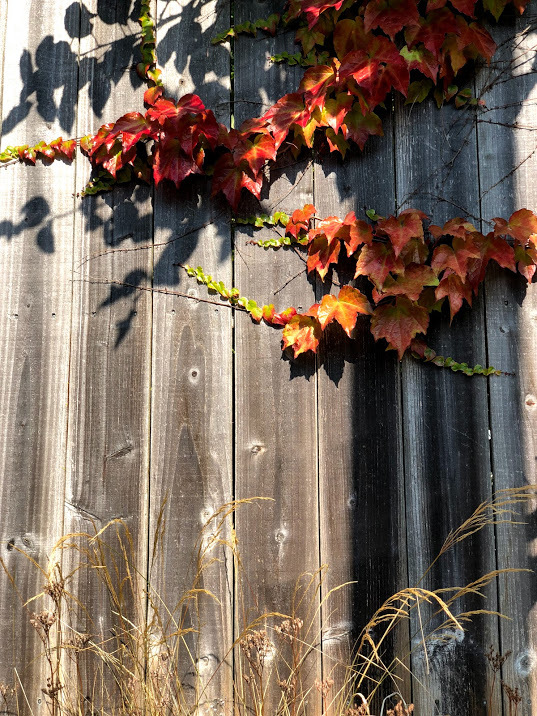 There should be a nice wooden fence grown with Virginia creeper alongside you. Then turn left again on Alder St which runs into the Oak Hill Cemetery. Walk in long shadows under the oaks and evergreens. It’s peaceful in here, a bit secret. In the fall oak leaves and acorns crunch underfoot. The headstones are mostly small and modest, some grown with lichen, others leaning just a bit. 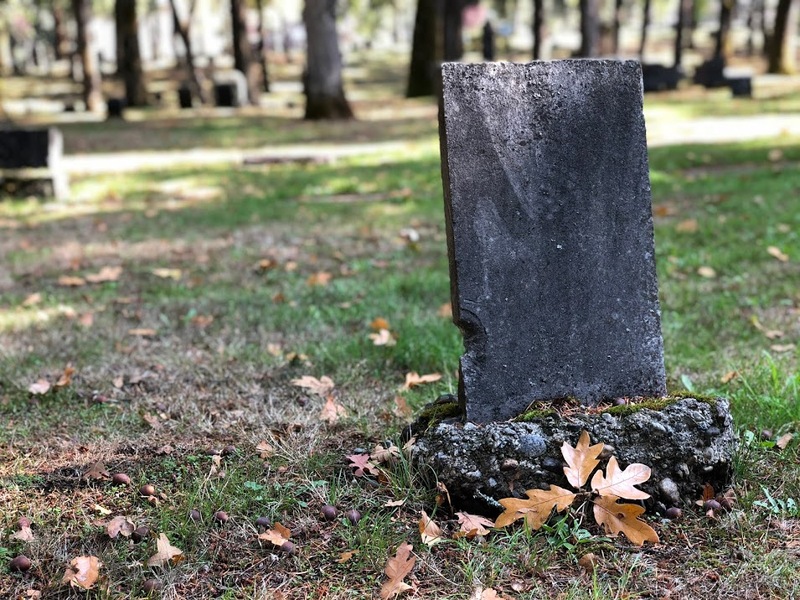 You can see the Tacoma Cemetery right on the other side of the fence, historically a pauper’s cemetery (read its story in this Tacoma News Tribune article). When you’ve spent the time you need here, it’s onward toward a locally owned South Tacoma staple. 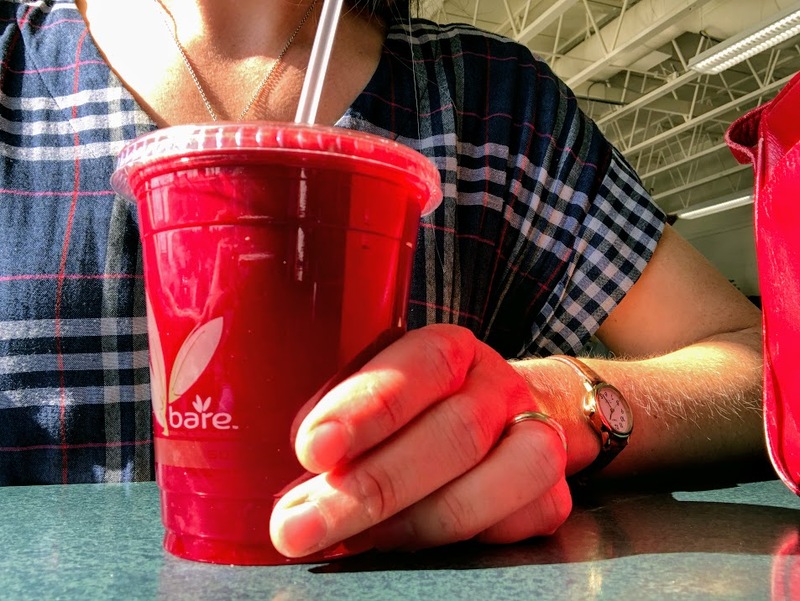 Marlene’s Tacoma Tea: beets, carrots, ginger, and - at the barista’s recommendation - some lemon too. It’s as red as my purse! Lentils, honey, peppercorns, tea, and spices from Marlene’s array of bulk bins. From fresh air at the park to fresh food at the market. Maybe you’re feeling a bit chilly after strolling the cemetery, or just need a dose of bright nutrients after a heavy breakfast; Marlene’s can take care of you. You’ll find their organic and whole foods cafe toward the back of the store (there’s a restroom back here too) and now’s the perfect time to order organic fair trade coffee, juice, or a smoothie. Take it over to their bright seating area for a rest. Before you go, browse the store a bit, especially the bulk aisles where you’ll find lovely loose leaf tea, spices, herbs, and all manner of dried goods. I like the temperature controlled room along the back wall where dried mango, black rice, popcorn, and oats fill the bins. We’ll introduce you to the Lincoln District and Fern Hill District, both in Tacoma’s South End, below. Choose one for lunch, but visit both. After these two districts we’re sending you to Wapato Park, but feel free to stop there in-between, if you prefer. We’re not the boss. If you’re hungry, head straight to any of our lunch suggestions below. If you need more time, need to explore a bit more, need to walk further first, just park the car somewhere between Thompson Ave and G St and start to poke around. You can read more about this neighborhood and why we love it in our Take a Walk: Lincoln District post. Stop by the register at Lincoln Hardware to see if some Origami by Tommy is still on display (Tommy creates pieces and gives them to local businesses). Lincoln Park - 801 S 37th St - Playground, giant trees, picnic shelters, and a path, all neighborhing the beautiful Lincoln High School and Lincoln Bowl. Lincoln Hardware - 3726 S G - A family-owned hardware store in business for over 83 years with a moose on the wall. Just go. Hong Kong Market - 3816 Yakima Ave - Fully stocked Asian grocery that’s well worth a wander. Viet My Gift Shop - 775 S 38th St - Dishes in the window and the beautiful salmon mural on the side. Asian Gifts & Aquarium - 763 S 38th St - There are interesting little figurines in the window. You don’t have to have an aquarium, just explore. 2nd Hand Thrift Store - 3740 S Park Ave - Used variety shop; you get it. These shops are all along 38th St and easy to pop in and out of depending on what strikes your fancy. Vien Dong - 3709 S G St - A small family business serving pho, fried noodles, fried rice, all kinds of tasty Vietnamese food that is super inexpensive. We’ve eaten here way too many times to count. A favorite is the crispy noodle stir fry! Pho Dragon - 757 S 38th St - Another small Vietnamese food restaurant where you won’t go wrong. 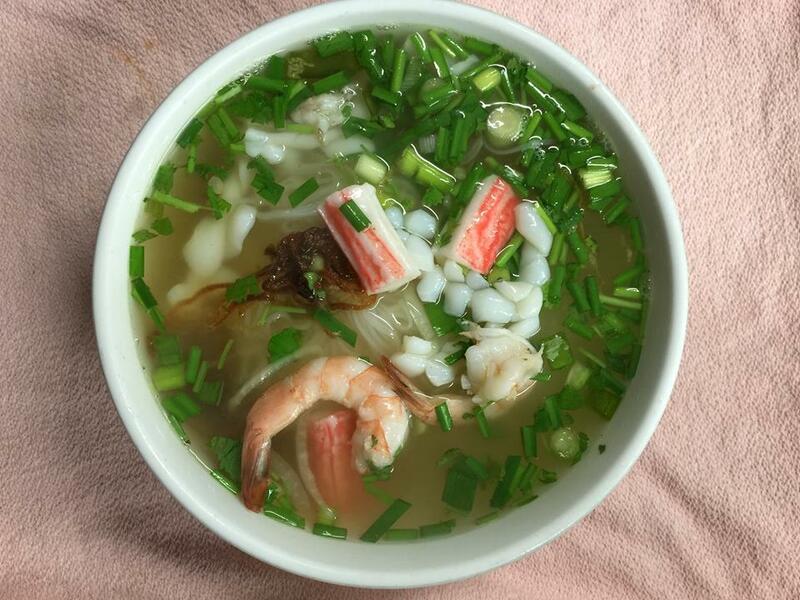 Soups, noodles, and more! 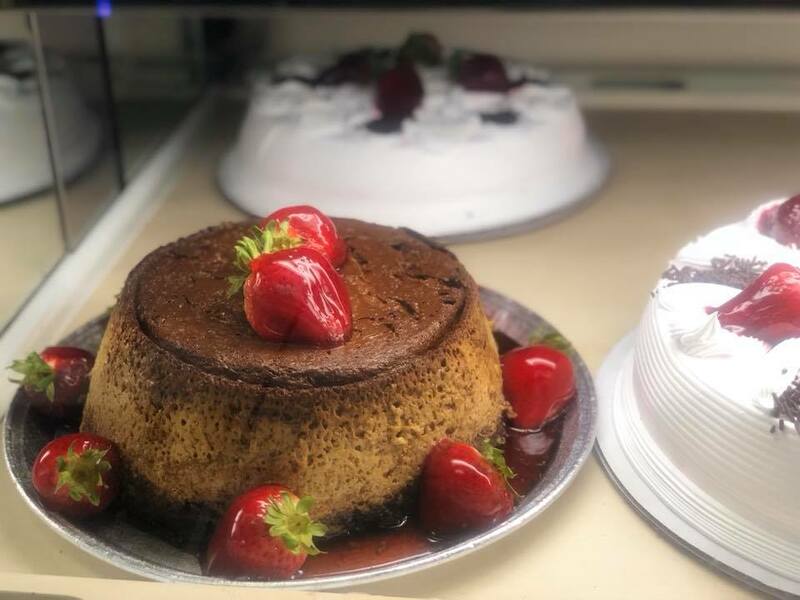 El Zocalo Tortas Y Bakery- 701 S 38th St - The name says it all. A good spot to stop in Lincoln if fresh tortas, burritos, or a sweet Mexican pastry are calling to you. Uncle Thurms Soul Food - 3709 S G St - Maybe you started your morning at Pacific Southern and you’re still in the mood. Go for it. It’s been a while since we made it in, but it was a good meal last time. Closed Sundays. Even if you already ate lunch in Lincoln, it’s time to visit the Fern Hill Business District. 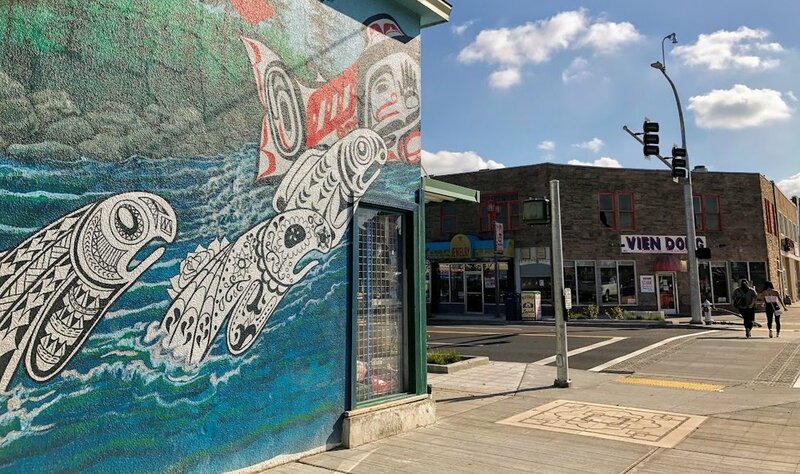 There's a library, a barber, an iconic mural, an elementary and a middle school, a park off of S. 88th St, a clock and watch repair shop, and a Seinfeld themed diner (yes, here in Tacoma). It’s a tiny district, but that’s part of the charm. Park Ave Books - 8304 Park Ave - This place is quirky, friendly, and packed with used books. The staff are sweet, willing to chat, and happy to help you find some treasure. Closed Sunday & Monday. Tacoma Public Library Fern Hill Branch - 765 S 84th St - Hey, you never know when you might need a library. You can return books to any branch in the city after all. Closed Sunday & Monday. Little Jerry’s - 8233 S Park Ave, Closed Mondays - A Seinfeld themed diner in Tacoma, WA. Breakfast all day and a sandwich called “the puffy shirt.” Don’t think we really need to say much more. Tibbitts@Fern Hill - 8237 S Park Ave - Lunch is served Wednesday - Friday at this farm to table, chef-driven restaurant. You can find breakfast from Wednesday - Sunday, so come back for that if you like it! Baby Dandie looping the lake with me a couple of autumns ago. When we lived in the South End this was a favorite destination and the Wapato off-leash park was our second back yard while our dog was a crazy puppy. Wapato is a beautiful old park where flower beds are packed with color in the spring and summer months. The lake loop is a nice walk any time of year. If you walk the main loop (all paved and flat) it’s 9/10 of a mile. Go twice if you’re really full after lunch, or head north beyond the paved path to reach the pipeline trail. This skinny trail takes you over the Wapato wetlands and connects you back to the main loop trail. I’ve spotted an owl out there! Keep an eye out for water birds and squirrels too. Is it too soon for a drink? No? Okay, here are a couple of good South Tacoma spots for you to befriend at day’s end. Established in 2015, this is a new favorite South Tacoma destination. You can choose beer or cider from the generous selection of rotating taps, choose a bottle, or fill a growler to take home. We recently learned that they have the largest cider selection in the city - 6 taps, and over 75 bottles! House made fresh ginger beer! That’s enough for me. If you’re not into alcohol, you’re the designated driver, or you’re just searching for something fresh and zingy without that other kind of kick, order a ginger beer. They also add it to some of their cocktails and it’s lovely. Also, you can fill a growler with ginger beer to go. Come any time, but happy hour is Wednesday-Saturday from 4-6 pm and all day Sunday and Monday. There’s food here too, and it’s good! Are you hungry again? It probably depends on how many times you walked around the lake at Wapato, and on whether or not you took the advice to share breakfast. If you are hungry, try the a reuben, French dip, nachos, or some pickled herring (for real). Okay. Now you can go home. If you didn’t have a good day, I’m sorry. 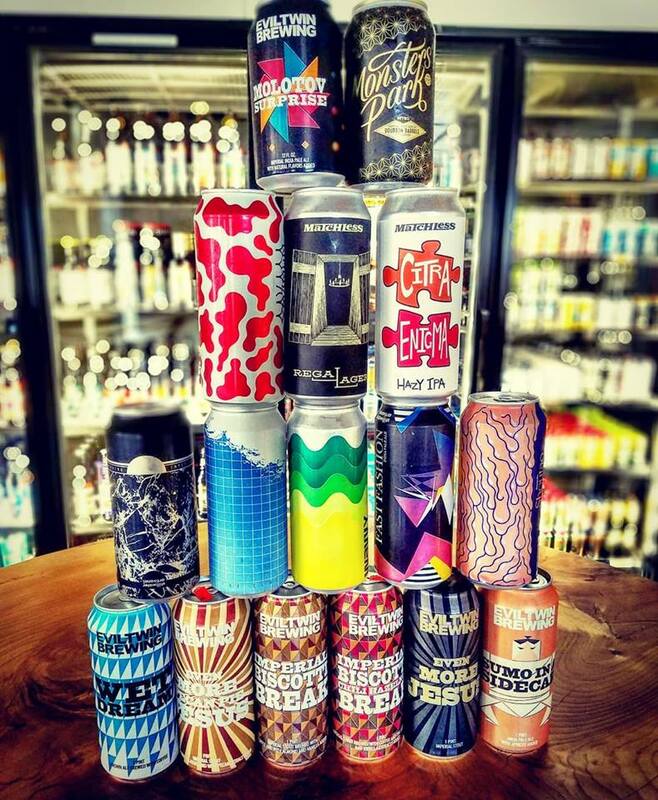 But that’s unlikely because there’s a lot of good stuff in South Tacoma and Tacoma’s South End (we couldn’t fit it all into this post, of course!). We hope you’ll be back! It’s pretty hard to eat everything in one day, and the parks are different at each time of year, so come again. If you’d like to keep in touch and see upcoming posts about Tacoma, we invite you to follow us on Facebook or Instagram. We promise we’re nice. Older PostOh, October - 16 Tacoma Events!